Life depends on death. Memory depends on forgetting things. For knowledge to grow, like a garden there must be clippings that are discarded. Not all books add value, and there is no value in keeping absolutely everything so there is benefit in removing and discarding some books. First Council of Nicaea met in in CE 435 to decide what would be in the bible, and what would be left out. 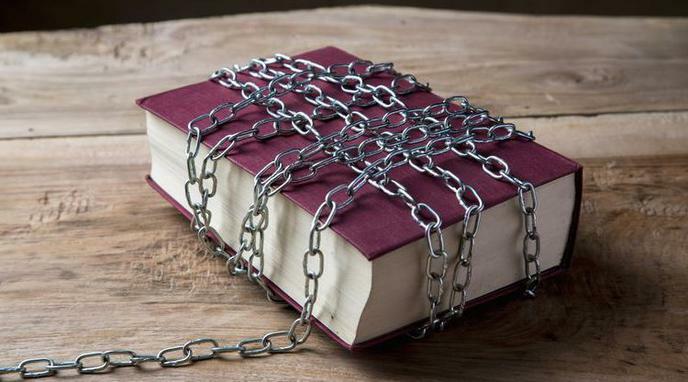 Leaving a book out was equivalent to banning it ... the books became effectively unavailable. This sort of choice is unavoidable in any society. Removing books that contain "information" we objectively know to be inaccurate can reduce misinformation and promote knowledge-growth. There's no need to ban or remove access to the books then.